A mini 0.28″ DC voltmeter that can be easily integrated into your project. SKU: MINI_VOLTMETER. Category: Other. 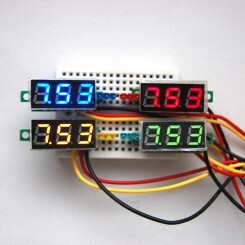 Tags: led, Voltage Meter, voltmeter. 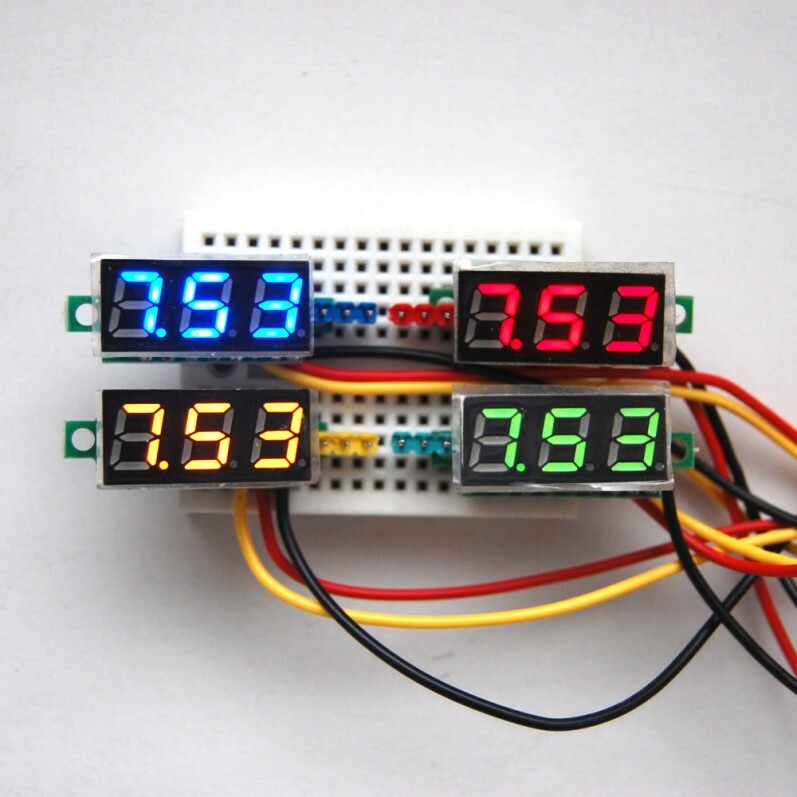 This is a mini DC voltmeter with LED display. Thanks to the small dimension it can be easily integrated into your project. 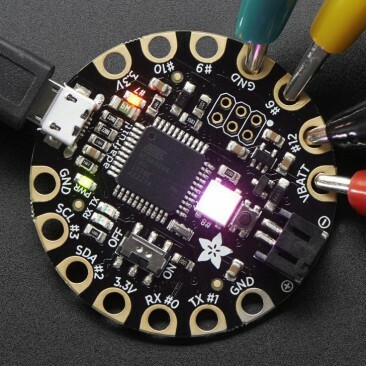 It has three wires (yellow, red and black) and can measure up to 100V. 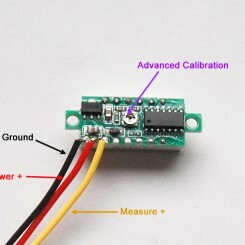 In this case the measured voltage will also work as the power supply for the voltmeter. 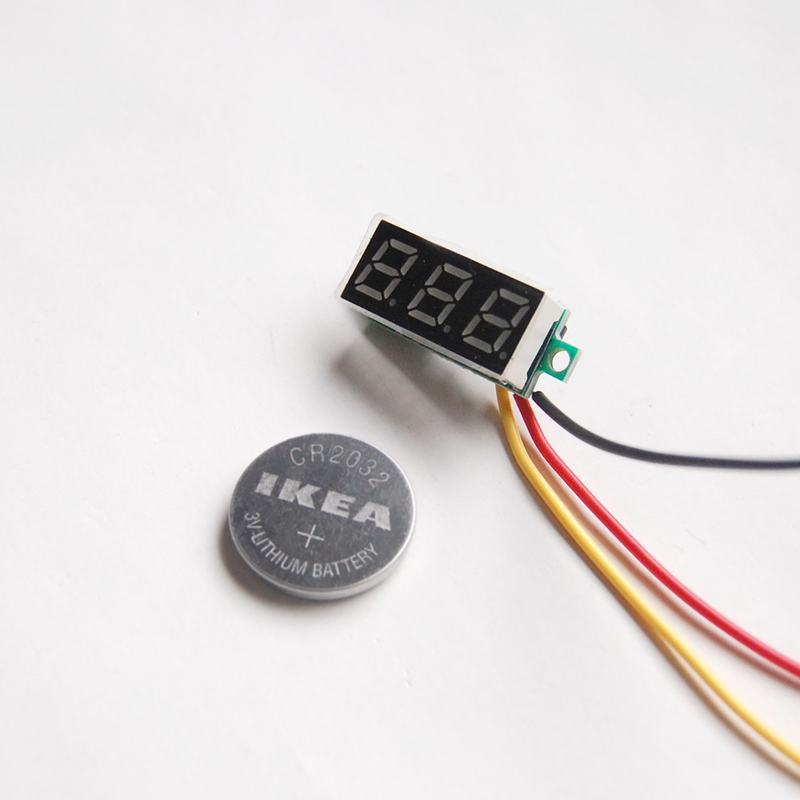 This voltmeter has been calibrated before leaving the factory. 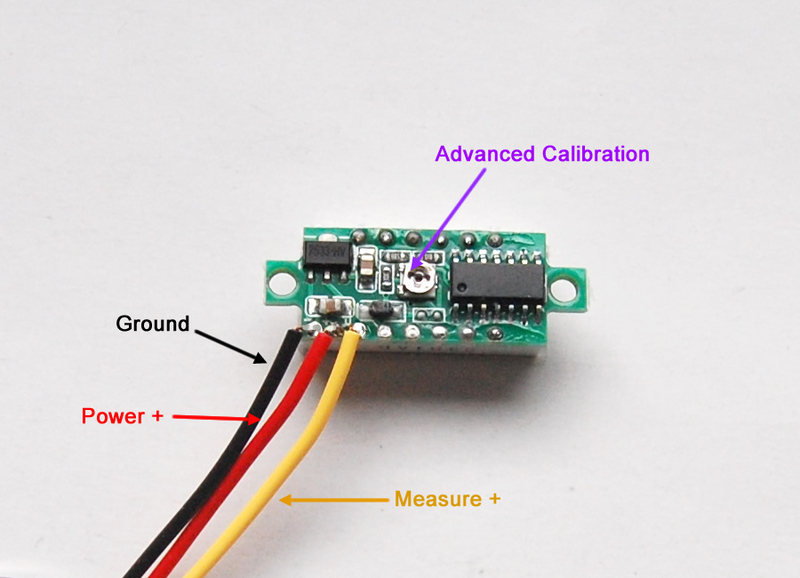 However if you want to get better accuracy, you can calibrate it by spinning the potentiometer on its back. 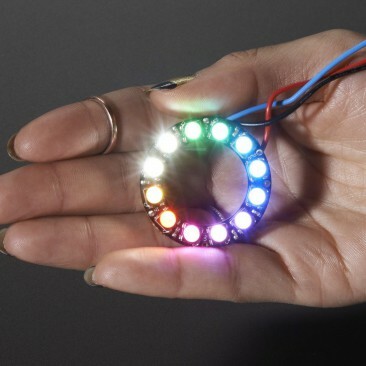 Spinning the potentiometer clock-wise will reduce the displayed voltage value. 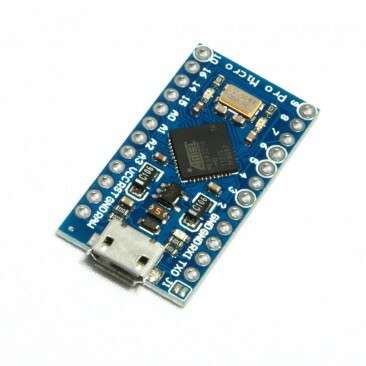 Great for use with a battery powered Raspberry Pi, just add a push switch. 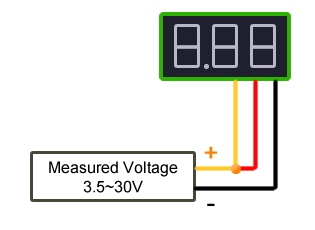 Saves having to make an ADC to monitor voltage.